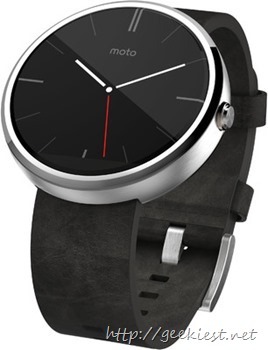 The beautiful smart watch from Motorola, the Moto 360 slashing their price. Earlier we have covered the price drop Moto 360 Discount–Get it from amazon for USD 179 only, now in India you can get the Moto 360 smart watch with leather strap for just INR 12,999, that is INR 5000 less than the normal price. The phone with metal chain will be INR 14,999. Stainless steel/ genuine leather bands. Notifications from your phone, social media etc. Pedometer Optical heart rate monitor (PPG) Sensor. Get Rs.1,500 off on Moto G 3rd generation and Moto G Turbo.